Recommended for all beginners. Slower-paced, static standing and seated postures with an emphasis on proper alignment, breathing and cultivating body awareness. We work on building a strong, stable foundation and begin the exploration into the philosophy of Yoga. Recommended for beginners. 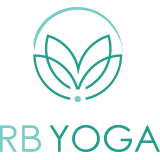 Practitioners of all levels are welcome in this slower paced, inner directed class that welcomes and properly addresses the needs of the beginner by offering modifications while more advanced practitioners are provided progressively deeper variations. Intermediate Practice. Strong, invigorating class that creates heat, opens and strengthens the body and challenges the mind. This class is designed to help experienced beginners transition safely and skillfully into Level 2 classes. Recommended that you have a dedicated Yoga practice for a minimum of 3 – 6 months, but athletic beginners are welcome. Intermediate to Advanced, not appropriate for beginners. Strong, moderately to fast paced practice for practitioners comfortable with basic alignment of postures. Arm Balances, Inversions and deep Backbends are introduced and explored. Not appropriate for beginners. Advanced class designed for students dedicated to a regular Yoga practice. Arm balances, inversions, & deep backbends part of regular curriculum. The intention of this class is to work at your own pace, honor limitations and work intelligently & skillfully with edges.